Hatcher Builders is a family-owned company providing residential, agricultural and commercial contracting services in Eastern North Carolina. 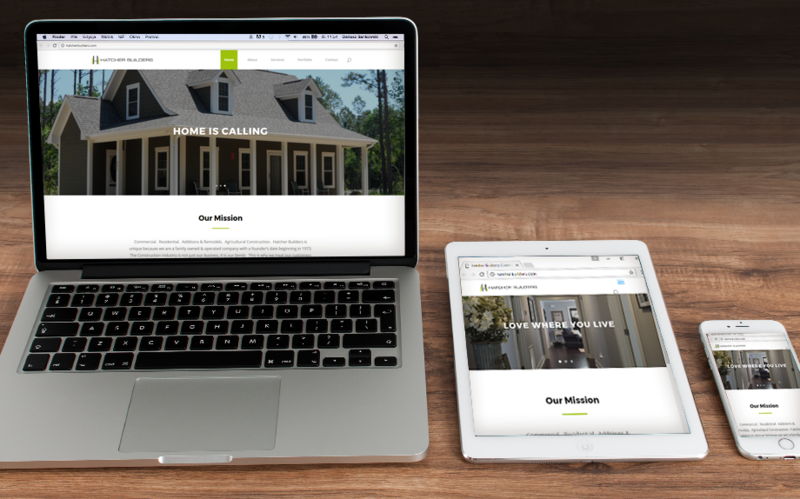 The Hatchers needed a website that was easy to navigate and capable of showcasing project photos on mobile devices. They now have a responsive site where they can create a digital content archive to boost their domain authority over time. 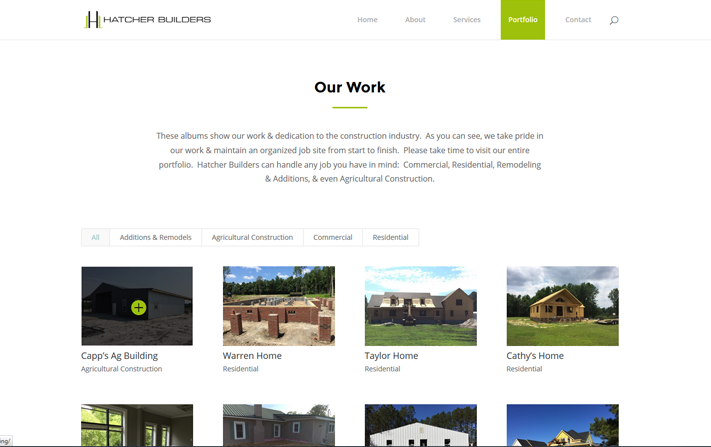 Along with their services, contact and company information, Hatcher Builders was able to add projects online in visual portfolios.